WHY THE LNP SHOULD BE BOOTED OUT … | COMMUNITY ACTION ALLIANCE FOR NSW (CAAN): HOUSING INEQUALITY WITH AUSSIES LOCKED OUT! AS WE KEEP SAYIN’ … check the preferences of fringe parties like that of Pauline and Clive with preferences for the LIBS … we don’t want to be back where we started, do we? With even more of the same X 2 Ham Actors at the helm … ? WHEN a few boomers refer to Millennials as being jealous … or suggest they do not work so hard … boomers were protected by Award rates of Pay, many gained free University education, with incomes that enabled them to save a home deposit before they were 30! P.S. CLIVE PALMER IS CAMPAIGNING AGAINST THE HUGE CHINESE BUY-UP OF AUSTRALIA … BUT WHO IS FINANCING HIS $30 – $50M CAMPAIGN? Labor frontbencher Anthony Albanese has launched an attack against Clive Palmer after polling showed the former MP could be a kingmaker at the next election, warning Australians of the problems with voting for fringe parties. Mr Albanese also lashed Mr Palmer’s $30 million advertising campaign, which is being funded through his company Minerology, whose headquarters are now in New Zealand. 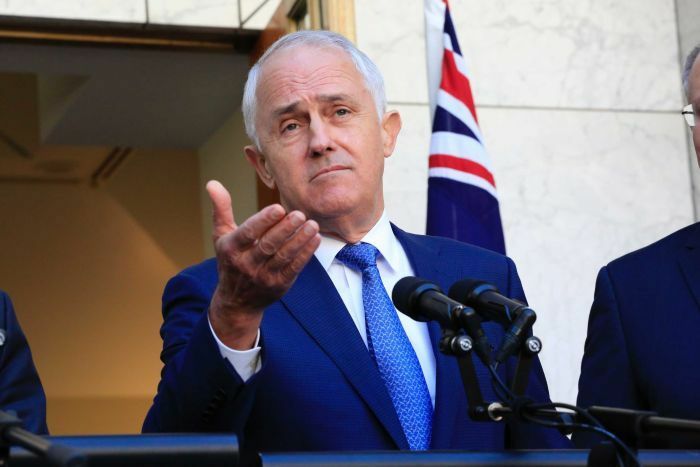 “It was a debacle and what’s more of course his attitude towards the workers in Townsville (at his Queensland Nickel refinery) was quite outrageous. “I think people need to be very clear about voting for these fringe parties and be clear that they won’t necessarily get what they think they’re voting for. We know that with these fringe parties, what has happened is that senators have been elected and then they’ve resigned, become independents, joined other parties, had all sorts of moving chairs in the Senate. It was hard to keep up with who was a member of where during the last term of office I’ve got to say. Mr Albanese could not say if Labor would try and clinch preference deals with Mr Palmer’s United Australia Party. “That’s above my pay grade. What we’re concerned about is having primary votes for the Labor Party,” he said. Can “make Australia stupid again” save Scummo? Scott Morrison is on the verge of securing a preference deal with Clive Palmer that would all but guarantee the Queensland billionaire a Senate spot and help ring-fence marginal seats the Coalition must hold to retain government. Under the deal being finalised, Mr Palmer’s United Australia Party would be placed ahead of One Nation and Katter’s Australian Party on the Liberal and LNP how-to-vote cards for the Senate. In return, UAP would preference the Liberals and LNP second on its how-to-vote cards — a move that could be a key factor in determining the outcome in a batch of marginal seats. The UAP recorded a primary vote of 14 per cent in the Queensland seat Herbert, where its candidate is former State of Origin player Greg Dowling. 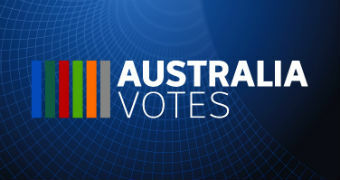 The party is sitting on a vote of 8 per cent in Pearce (WA), 7 per cent in Lindsay (NSW) and 5 per cent in Deakin (VIC). The average of those primary votes, which is about 8 per cent, would put the UAP ahead of One Nation and potentially give it the balance of power in the Senate. By buying a lot of One Nation votes, Clive Palmer’s “make Australia stupid again (MASA)” campaign is a fillip for the Coalition but it is not a game changer for the result. With two party preferred polls still sitting at 52-48 favouring Labor, the election would see Labor win the election 82 seats to 63. Even if the preference deal were to shift that by four seats the result is still decisive to Labor. Where it may end up being more important is in the constitution of the senate. If MASA can gain a few senate spots then it strengthens the hand of the entire cross-bench in the forthcoming negotiations over Labor’s tax reform package. With Centre Alliance, One Nation and MASA all resistant to franking credit and negative gearing reform, large concessions may be necessary to get the package through the senate. The largest impact of MASA may be in boosting property market prospects, truly making Australia stupid again. WHY LABOR’S NEGATIVE GEARING POLICY WILL ENABLE THE PROPERTY SECTOR! HOWEVER … a downside to this with the NSW Berejiklian Guvmnt … Medium Density Housing Code … is that ‘family developers’ will landbank our streets for terraces to flog off overseas! THAT is why it is imperative that ANTI-MONEY LAUNDERING LEGISLATION for the Real Estate Sector (Tranche 2) must be enforced! -the Scomo Govt exempted this sector in October 2018! Landlords in some of Sydney’s most expensive suburbs have been reaping the biggest benefits from negative gearing, according to new ATO data which reveals the size of claims by each postcode. Landlords have been claiming negative gearing losses of more than $20,000 a year in some of Sydney’s priciest suburbs, tax office data has revealed. Among the suburbs where landlords were claiming the biggest annual losses on their properties were up-market eastern suburbs Darling Point and Vaucluse. The losses were measured by the gap between expenses, such as mortgage repayments and maintenance, and income generated by rents. Under current tax rules, property investors are permitted to claim these losses against their taxable income — referred to as negative gearing. Just under 500 landlords in Darling Point were negatively gearing their properties and the average loss claimed was $29,264, according to the Australian Taxation Office. The median price of a Darling Point house is more than $7 million — nearly seven times the average price of a house across Sydney as a whole, CoreLogic data showed. Nearby Vaucluse had 817 landlords using negative gearing and making an average loss of $21,739. The average loss for landlords in Bellevue Hill was $15,000. The losses claimed were consistent with what landlords were charging taxpayers in other up-market suburbs around the country. 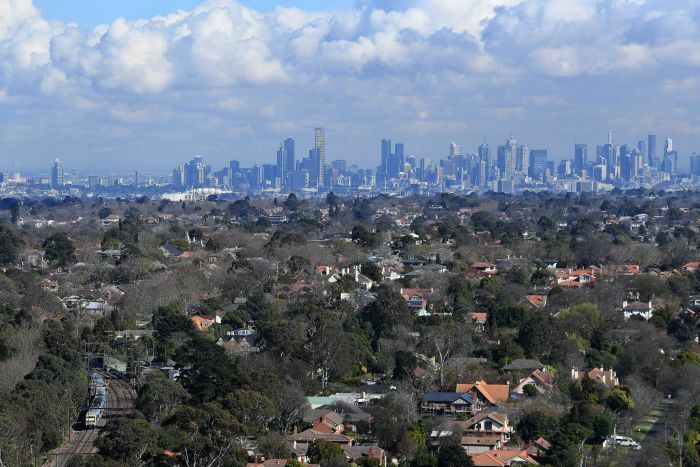 The average loss in the suburb of East Melbourne, an affluent inner city area, was $20,717 across more than 800 landlords. In Peppermint Grove, Perth’s priciest suburb, and Toorak, Melbourne’s priciest suburbs, the losses were about $15,000 annually. Some of the biggest losses in the country were also claimed by Tasmanian landlords. The 118 negatively geared landlords in the postcode 7215, which incorporates a large scantly populated area on Tasmania’s east coast, claimed an average loss of $58,366. The Australian Taxation Office figures released by the Treasury included only tax claims submitted over the 2016/17 financial year. 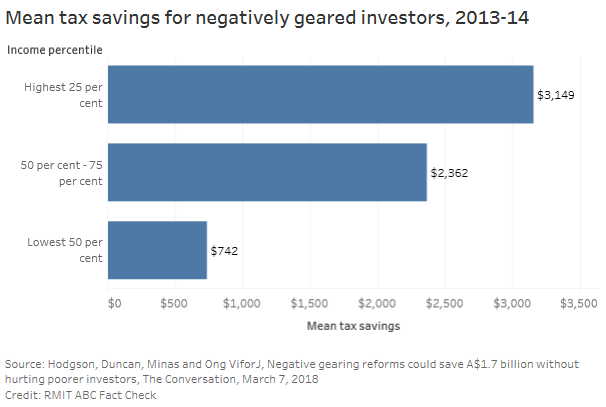 The data followed an earlier report by the Grattan Institute that showed about 50 per cent of the tax benefits from negative gearing went to the top 10 per cent of income earners. The taxation office also recently announced measures to crackdown on rental deductions, including doubling the number of audits of landlords. Negative gearing has become a hotly debated topic in the lead up to this year’s federal election, with the Labor Party promising to restrict the benefit to newly built properties if elected. The Coalition has pledged to retain the tax benefit, labelling Labor’s policy a potential risk to the economy. The Grattan Institute’s Danielle Wood says she is not surprised by tax office data regarding negative gearing losses. Property investors in some of Australia’s wealthiest suburbs are racking up negative gearing losses that average more than $20,000 a year, new taxation ­office figures show. Suburbs highlighted by ATO data include Sydney’s Darling Point, part of the Wentworth electorate formerly held by Malcolm Turnbull, and Melbourne’s Higgins, which was until recently held by former financial services minister Kelly O’Dwyer. 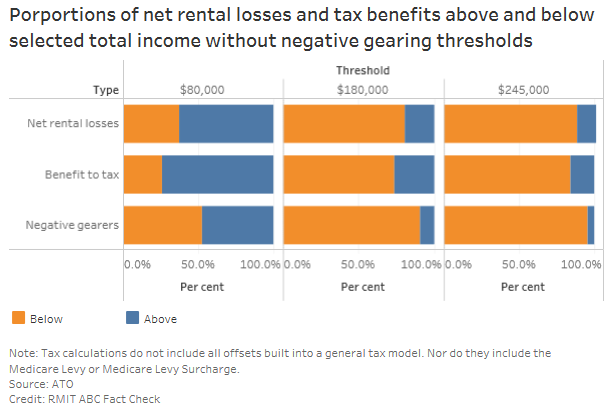 So here’s yet more evidence debunking the Coalition’s and property lobby’s incessant lie that negative gearing is used primarily by ‘ordinary mum and dad’ middle-income earners. Curtin University academics Helen Hodgson, Alan Duncan and Rachel Ong ViforJ, along with Griffith University’s John Minas, calculated earlier this year that the mean or average tax saving due to negative gearing for the highest-earning 25 per cent of negatively geared investors is a figure more than four times that of the lowest-earning 50 per cent. Another negative gearing lie blown-out of the water. As was the case with the lie claiming abolishing negative gearing would force-up rents. Mr Turnbull might justify the intervention as just reminding people of the history. It also feeds into Labor’s constant referencing of the coup against Mr Turnbull. Mr Shorten has strengthened his commitment on the NEG, indicating on Saturday he’d pursue it in government even without bipartisan support. An Easter weekend in an election campaign might be a bit of a challenge for a pair of leaders who are atheists. Fortunately for Scott Morrison and Bill Shorten, declared believers, it wasn’t a problem. Both attended church services during the so-called campaign ceasefire that the main parties had proclaimed for two of the four days. Mr Morrison on Sunday was pictured in full voice with raised arm at his Horizon Pentacostal church in The Shire, where the media were invited in. On Friday he’d been at a Maronite Catholic service in Sydney. Sunday morning saw Mr Shorten at an Anglican service in Brisbane, his family including mother-in-law Quentin Bryce, former governor-general. 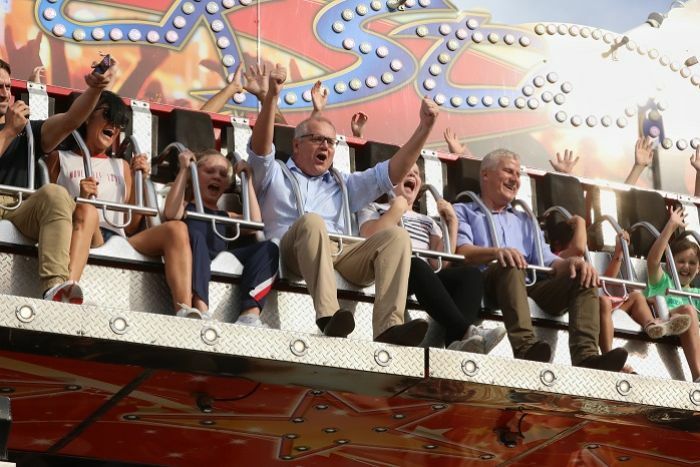 Sunday was an opportunity to wheel out the kids, chasing Easter eggs (Mr Shorten) or on the Rock Star ride at Sydney’s Royal Easter Show (Mr Morrison). This was campaigning when you’re not (exactly) campaigning. The minor players weren’t into the pretend game. For them, the relative restraint on the part of the majors presented rare opportunity. Usually Centre Alliance senator Rex Patrick would have little chance of being the feature interview on the ABC’s Insiders. For Labor, Easter has meshed nicely with one of the key planks of its wages policy — restoration of penalty rate cuts by the Fair Work Commission. Even on Sunday, Mr Shorten pointedly thanked “everyone who’s working this weekend”. Mr Turnbull was set off by a reference from journalist David Speers to “Malcolm Turnbull’s NEG”. Did Turnbull leave Morrison with egg on his face? Find out how your views compare to Australia’s major political parties. Simply answer a few questions via Vote Compass. But it is damaging for the Government and an Easter gift for Labor — which is under pressure over how much its ambitious emissions reduction policy would cost the economy. And give a golden egg to Shorten? Given the hole it has left in the Government’s energy policy, pressing Mr Morrison on the economic cost of walking away from the NEG is as legitimate as asking Mr Shorten about the economic impact of his policy. 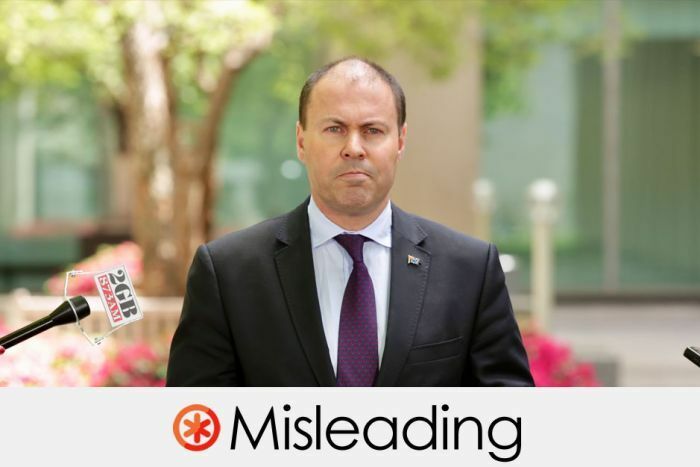 The posts and messages shared via Facebook messenger incorrectly claimed Labor had signed a covert deal to bring in a 40 per cent inheritance tax and carried a link to Treasurer Josh Frydenberg’s website, though the Liberal Party said it was not behind the posts. “Labor, the Greens and unions have signed an agreement to introduce a 40 percent inheritance tax,” the crudely written message states. Separately, the Canberra Liberals authorised an advertising truck that has been driving around the nation’s capital that bears the slogan, “Labor will tax you to death” and includes an image of Opposition Leader Bill Shorten, although it does not specifically say Labor wants to introduce an inheritance tax. Labor’s campaign headquarters wrote yesterday to Facebook warning that the rapid proliferation of the posts on Thursday and Friday could taint the federal election. “I would like to raise serious concerns about a number of apparent fake news posts about ‘Labor’s death tax’ circulating on Facebook very rapidly over the past 12 hours and its possible implications for the Australian federal election,” the letter states. It said that “multiple, various accounts” were posting the false claim and that there also “seems to be an orchestrated message forwarding campaign about the issue”. It called on Facebook to investigate and remove the material. One of the texts claiming that Labor supports an inheritance tax. The US-based social media giant has vowed in recent weeks to strengthen countermeasures to stop fake news and advertising, particularly from foreign sources. The discovery of the inheritance tax posts came as the world digested the 488-page Mueller report into Russia’s interference in the 2016 US presidential election through tactics that included fake news. The posts about the Australian election carry a link to a press release issued by Mr Frydenberg in January that said Labor’s assistant treasury spokesman Andrew Leigh had written an article in 2006 – when he was an academic – favourable to introducing an inheritance tax. A Coalition campaign spokeswoman said it was not behind the fake posts, adding that all Coalition material was authorised, as required by electoral law. The truck that was spotted around the ACT displaying political advertising referring to Labor taxes – the fine print says it was authorised by the Liberal Party. “The Facebook messages and posts in question have not originated from the Treasurer’s office or the Coalition campaign headquarters,” she said. The press release from January was “factual”, she said. Some Facebook users were posting the claim, however, and pointing to Mr Frydenberg’s press release as evidence it was true. -that no evidence exists that something is wrong … so get over it! RELATED STORY: When does pre-polling open for the federal election? 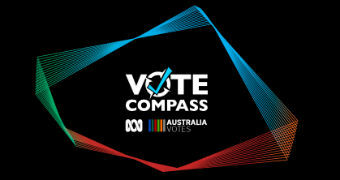 Key stories, analysis, Antony Green’s election guides, Vote Compass, videos and more. The AEC has warned if you choose to fill out these forms and mail them in the supplied envelopes,they will not be sent directly to the AEC. 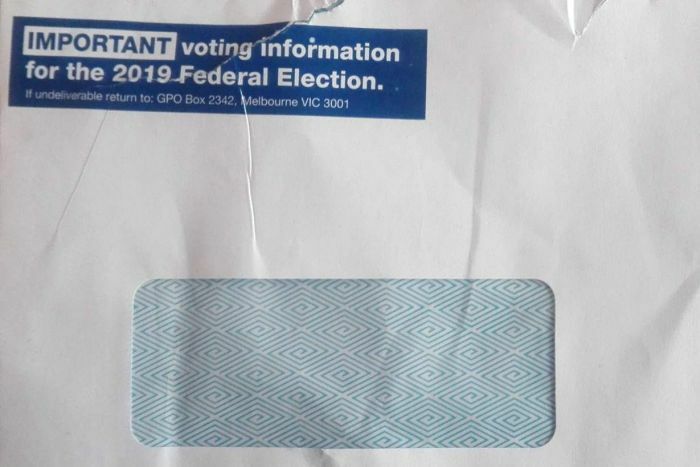 CAAN Photo: Note no Liberal logo on the Postal Vote application form from Liberal MP John Alexander for Bennelong! 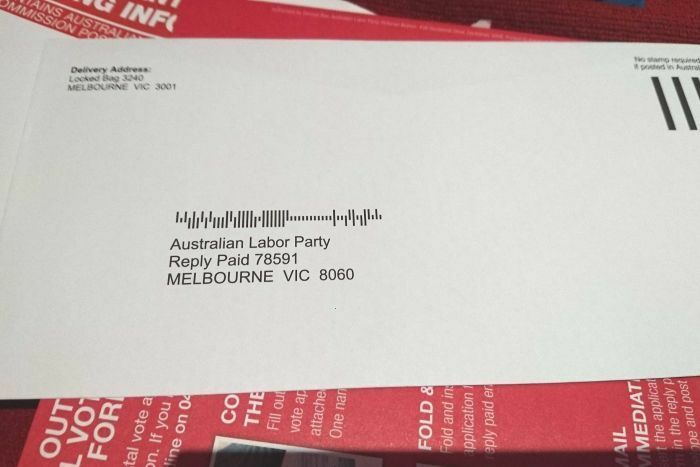 ABC Photo: Note the reply paid envelope is addressed to the Melbourne ALP address unlike the LNP Coalition Members individual electorate campaign offices … it would seem for their own Candidature purposes ???? A MAILOUT from the SCOMO GOVERNMENT targeting AGE PENSIONERS on the eve of the ELECTION CAMPAIGN … dated 5 April 2019 COST TAXPAYERS $2.1 MILLION and has raised concerns about the timing of the correspondence. AND another controversial Health Department mailout of 600,000 letters to people approaching the ages of 45 and 65 as part of its Better Ageing programme earlier this year! IF the Scummo Guvmnt is returned REMEMBER they can just as swiftly take it all away … like they did with Pension Cuts! A mailout from the federal government to age pensioners on the eve of the election campaign cost taxpayers $2.1 million and raised concerns about the timing of the correspondence. By Karen Middleton. The federal government spent $2.1 million on a mailout to millions of age pensioners just days before the election was called, despite concern among officials that it amounted to political advertising. The Department of Human Services sent taxpayer-funded letters to Australia’s 2.88 million age pensioners, alerting them to the new one-off energy assistance payment included in the April 2 federal budget plus other “beneficial changes” to the pension. The mailout was on behalf of the Department of Social Services, which was responsible for the letter’s content. Minister for Families and Social Services Paul Fletcher authorised and signed it. DHS said it “did not advise against distribution of the letter, provided it was not required to print or mail the letter during the caretaker period”. DSS confirmed the two departments had negotiated over the timing. OTHER SOURCES HAVE TOLD THE SATURDAY PAPER THAT SOME DEPARTMENTAL OFFICIALS REMAIN CONCERNED ABOUT BOTH THE NATURE OF THE LETTER AND ITS TIMING, PRODUCED ON THE CUSP OF AN ELECTION CAMPAIGN. *DHS received $9.2 million in the federal budget this financial year to assist with the administration of the new one-off energy assistance payment. *It has confirmed $2.1 million of that is being spent on the pensioner mailout. The Saturday Paper understands the department engaged its contractor, Fuji Xerox, to print more than two million copies of the letter, working through the weekend of April 6 and 7 to have them printed and posted before the public service caretaker period began. *DHS did not respond to questions about the letters having been printed on a weekend or whether this incurred extra cost. It is also not clear whether they were sent standard mail or at a premium to ensure delivery before the caretaker period began on Thursday morning last week. 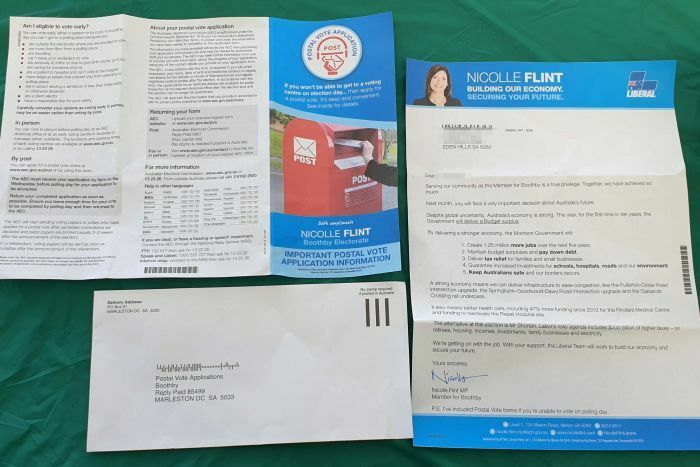 Instead of a brief informative message on Centrelink letterhead – which was how pensioners were told about a similar one-off energy payment in 2017 – this was a two-page letter bearing the Australian government coat of arms and minister Paul Fletcher’s signature. “The Australian Government recognises the importance of providing sustainable support to Australian retirees,” Fletcher’s letter began, indicating he wanted to update recipients on “a number of recent beneficial changes”. DHS confirmed that recipients of other welfare benefits also eligible for the one-off energy payment have not been sent such a letter and will not receive one until well after the May 18 election. DSS said this was because the pensioners’ letter was not just about the energy assistance payment but “a range of measures related to age pension recipients”. It said previous Labor ministers had sent out similar letters to carers in 2009 and that Fletcher had also written to 690,000 carers last month at a cost of $460,000. *The Saturday Paper understands that the pensioner mailout’s timing contributed to Prime Minister Scott Morrison’s decision not to call the election on the weekend immediately following the budget. *Instead, Morrison visited the governor-general four days later, early on the morning of Thursday, April 11, and had the parliament prorogued at 8.29am. **This meant senate estimates hearings that had been due to begin at 9am that day and to continue the next day and the following week were cancelled. The Department of Social Services had been set to appear at an estimates hearing at 9am and the Department of Human Services was due to appear that night. DSS had already appeared before estimates on Friday, April 5 – the same day the emailed version of the letter went out to 880,000 pensioners who receive government communications electronically. This was before the hard copies had been printed and posted. Questions were raised in estimates about the energy payment but not about a mailout. *DHS told The Saturday Paper its $9.2 million budget allocation for the energy assistance payment covered the technological work required to administer it, customer service to respond to inquiries and “communication activities including letters to recipients”. Those communication activities accounted for $3.2 million of that, of which $2.1 million was being spent on the pensioner mailout. Much of the remaining $1.1 million of that communication funding will be spent on sending advisory letters to other welfare recipients eligible for the energy assistance payment. *But DHS confirmed these other letters would not be mailed out until June, when the payment is actually due. *Details of the age pensioners’ mailout emerged as the Victorian Liberal–National opposition accused the Victorian state Labor government of inappropriately spending $1 million of taxpayers’ money on advertisements targeting the federal Coalition government. The Victorian state opposition referred the head of the Victorian public service and three other senior officials to that state’s anti-corruption watchdog this week over the ad campaign. The advertisements say Victorians deserve “a fair share of funding” from the federal government. They were launched last Sunday, four days into the federal election campaign. Speaking in Melbourne this week, Prime Minister Scott Morrison said the Victorian ads were designed to support Labor and its leader, saying he had “no doubt the state government here will do Bill Shorten’s bidding”. Victoria’s attorney-general, Jill Hennessy, said the ads were “standing up for Victoria”. Morrison’s election campaign has targeted pensioners and retirees, whom he argues would be worse off under a Labor government. He singles out those who receive cash rebates on shareholdings, known as franking credits, which a Shorten–Labor government would abolish. He said that included helping them pay their power bills. At a February 21 senate estimates committee hearing, Labor senators asked DHS secretary Renée Leon about another controversial mailout, conducted for the Health Department. Leon confirmed DHS had received $3.16 million in last year’s budget to mail 600,000 Health Department letters to people approaching the ages of 45 and 65 as part of its Better Ageing program. The letters were sent earlier this year. Leon explained her department is the clearing house for mailouts from other departments, responsible for the printing and distribution of letters, but not for their content. The Health Department letters that were discussed in the February estimates hearing aimed to alert recipients to a website enabling them to undergo checks on their health, employment options and finances and help them stay healthy, active and independent. They were printed on Australian government letterhead and signed by Treasurer Josh Frydenberg, who was described on them as “Deputy Leader of the Liberal Party”. *Labor senators raised concerns about those letters and accused the government of spending taxpayers’ money on what was effectively political advertising, potentially breaching the guidelines for information and advertising campaigns by non-Commonwealth entities. *Those guidelines say information campaigns “must not mention the party in government by name”. *“Campaigns must not try to foster a positive impression of a particular political party or promote political interests,” they say. **Campaigns also “must not be designed to influence public support for a political party, a candidate for election, a minister or a member of parliament”. 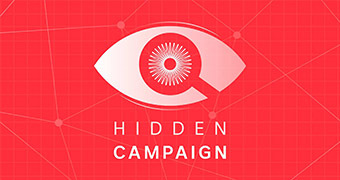 *The guidelines define a campaign as “a planned series of communication activities that share common objectives, target the same audience, and have specific timelines and a dedicated budget”. *Governments may legitimately use public funds to explain government programs and inform people of their entitlements, but they must not be used for “party political purposes”. It is this definition that DSS says does not apply to its pensioner mailout. In the February questions on the Health mailout, Labor senator Murray Watt asked the minister representing the portfolio, Senator David Fawcett, why the government was “rorting taxpayers’ money to run an election campaign”. “This is a budget measure aimed at providing information to a part of our population which is a growing percentage of our population,” Fawcett said. Watt asked whether the Liberal Party intended to refund the money. He received no response. *Last week’s age pensioners’ letter details the pension increase that took effect on March 20 and the dollar values of the special energy payment, the ongoing energy supplement, the work bonus to take effect from July and “another benefit commencing on 1 July” – the expansion of the pension loan scheme. The government unveiled its planned one-off energy payment of $75 for singles and $125 for couples in the lead-up to the budget, saying it would go to those on carers’, parenting, disability, veterans’ and war widows’ payments but not unemployed people on Newstart. The morning after the budget, Treasurer Frydenberg revealed during a radio interview that the policy had changed overnight and would now be extended to Newstart recipients too. Frydenberg said later that he, Morrison and Finance Minister Mathias Cormann had met late on budget night and decided to extend the payment because they “thought it was appropriate”. This week, Treasury’s pre-election fiscal outlook confirmed that the extension cost $80 million and had increased the $4.3 billion budget deficit this financial year. A surplus is forecast for next year. During the April 5 estimates hearing, DSS officials told senators they first heard an extension to Newstart recipients was likely in a phone call from a member of Minister Fletcher’s staff on budget night, Tuesday, April 2, advising them to prepare for “legislative and costing changes”. Labor senator Jenny McAllister asked when the call came. “My recollection is it was during it,” Williamson said. He said departmental officials had worked on the changes through that Tuesday night and final policy authority had come “early on Wednesday morning”. A senior official from the Department of Prime Minister and Cabinet told a separate estimates hearing she found out about the pending change when she was warned on budget night to expect a letter from DSS. The letter from Minister Fletcher to Prime Minister Morrison arrived later that evening. The DSS officials confirmed about five million Australians would be receiving the energy assistance payment. But it seems only half of them are having it specifically drawn to their attention before May 18. This article was first published in the print edition of The Saturday Paper on Apr 20, 2019 as “Exclusive: Taxpayer millions spent on Coalition mailout”. Subscribe here. ARE you shocked that the LNP Coalition have fudged the numbers by the sell-off of our Assets, cut business taxes at the Big End of Town, and low-and-behold they will end up having to pay for it by cutting welfare and government services for the ‘great unwashed’? …there have been a notable absence of savings measures in the past two budgets, other than the now almost obligatory measures to extract more efficiencies from the welfare budget. Budget consolidation has mainly been a revenue story. Revenues have increased by a full 2 per cent of GDP since 2013-14. Growth in income tax receipts through bracket creep, commodity price windfalls and Future Fund earnings are the heroes of this story. *It looks like the record of a government that should take credit for some incremental belt-tightening and (largely) resisting the temptation for cash splashes. But the government wants to lay claim to a bigger legacy. It claims to have set Australia on a path to eliminating net debt by 2030, while giving the largest personal income tax cuts since the Howard government. Sounds impressive, especially when you take into account the tax cuts announced in the past two budgets are together worth more than $300 billion over the decade. That’s because these fantasy surpluses are born on the spending side of the budget – payments as a share of GDP are projected to fall by 1.5 per cent of GDP by 2029-30. Achieving such a reduction would require significant falls in spending growth across almost every major spending area, during a period when we know that an ageing population will increase pressures on many components of spending. The Parliamentary Budget Office’s best guess is that ageing could wipe $36 billion off the bottom line by 2028-29. This is the problem with attempting to create a legacy in the medium-term estimates – these aren’t intended to predict what the budget would actually look like under the current government in a decade. The medium-term estimates assume a world of steady trend growth and no new spending announcements – other than for infrastructure and pharmaceuticals. To believe these figures you would have to believe the Coalition would contest another three elections without spending an additional dollar. *Hiding behind the medium-term estimates is not just rhetorical flourish. The government has used these estimates to justify substantially boosting the size of its tax cuts for high-income earners from 2022. Take away the optimistic assumptions and its not at all clear these are affordable. …It notes the forecast $40 billion cut in spending “is more than the Commonwealth’s entire annual contribution to the states and territories for health ($22.8 billion) or education ($21.5 billion) in 2019-20”. “The Abbott government promised that there would be ‘no cuts to education’ and ‘no cuts to health’ and then in its first budget proposed cuts of $80 billion from school and hospital funding. This appears to be taking on the dimensions of an election defining issue. Perhaps politicising the Treasury was not such a good idea after all. Australian businesses could be forced to spend more than $25 billion on international carbon credits to meet Labor’s 45 per cent emissions reduction targets by 2030, jeopardising one of Bill Shorten’s fundamental election pillars, which he declared would have no cost to the economy. …A day after refusing to answer questions on the cost to the economy of Labor’s climate policy, Mr Shorten yesterday declared a 2015 report by economist Warwick McKibbin showed “our 45 per cent reduction, including international offsets, has the same economic ­impact as the Liberals’ 26 per cent”. Greens climate change spokesman Adam Bandt expressed concern at the open-ended commitment from Mr Shorten to allow the use of international permits, suggesting there would be no cap on the purchases. “It’s like paying someone else to go on a diet for you while you keep eating burgers and chips,” Mr Bandt said. No killer blow there for anybody. Labor has decided to sacrifice further tax cuts for more than 1.5 million workers in favour of promising bigger budget surpluses than the Coalition, in a fresh bid to win a crucial pre-election contest over economic management. The Sydney Morning Herald and The Age can reveal Labor has completed its internal deliberations over whether to propose a last-minute tax reform package for Australians earning between $90,000 and $120,000, and has opted to instead funnel the billions of dollars the cuts would have cost into improving the budget bottom line. High-income earners will receive at least $77bn from the Coalition’s 10-year income tax package, shrinking the proportion of the overall tax burden shouldered by the rich, according to a new analysis. 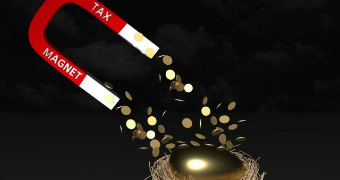 The Australia Institute modelling, released on Thursday, furthers the progressive thinktank’s argument that the Coalition’s flat tax policy is a “radical attack on Australia’s progressive tax system”, as its senior economist, Matt Grudnoff, summarised. 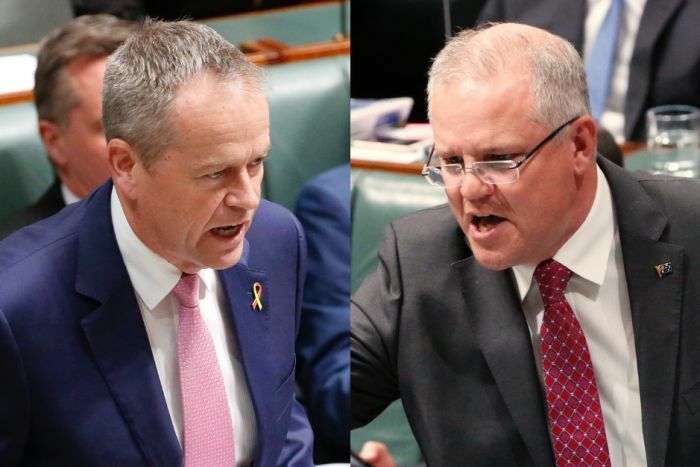 Labor and the Coalition largely agree on tax cuts for low- and middle-income earners in the short term, but the opposition has rejected the government’s plan to extend more generous income tax cuts to middle- and high-income earners from 2022. Under the plan in the 2019 budget, those earning more than $41,000 will receive a tax cut in 2022 and by 2024 everyone earning between $40,000 to $200,000 will pay a marginal rate of 30%. The Grattan Institute analysis used projections about GDP growth from the 2019 budget and assumed 4.5% growth per year for the rest of the decade. 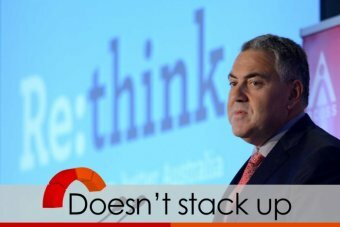 Using 2013-14 as the baseline and blaming Labor for that year – even though the Coalition were in charge for three quarters of the year, during which they gave a cash injection to the Reserve Bank of Australia. Including the next four years, when spending is projected to be limited to 1.3% growth. Wood calculates that since the Coalition was elected government spending has increased by 2.6%. And they will slash and burn spending as the economy falls apart ahead? I think not. Scummo is losing the tax debate. GetUp has been forced to amend its instruction guide for volunteers after the activist group’s boss was caught in an embarrassing interview in which he was unable to justify claims that Treasurer Josh Frydenberg was “part of the coup” against Malcolm Turnbull. National director Paul Oosting had defended a GetUp instruction manual that suggested volunteers tell voters Mr Frydenberg was “part of the coup that removed Malcolm Turnbull as prime minister”, even if he might be “a nice person”. The conservative lobby group Advance Australia has made a complaint to Queensland police about a reported death threat made to its “satirical superhero” Captain GetUp. The caped conservative crusader, who is confusingly named after progressive activist group GetUp, is a superhero-style character created to drum up publicity for Advance Australia causes, and to highlight what it says is GetUp’s agenda “to change Australia’s way of life”. The character has been unleashed on electorates around Australia where GetUp is actively campaigning to get rid of conservative candidates, notably Tony Abbott’s seat of Warringah and Peter Dutton’s seat of Dickson. So, AA produced a bunch of blow-up dolls to promote the Get-up brand nationwide. That’s a new low in stupid. Underlying the election battle between the Prime Minister and Labor Leader over taxes and climate change is an intergenerational fight over income, wealth and the future. 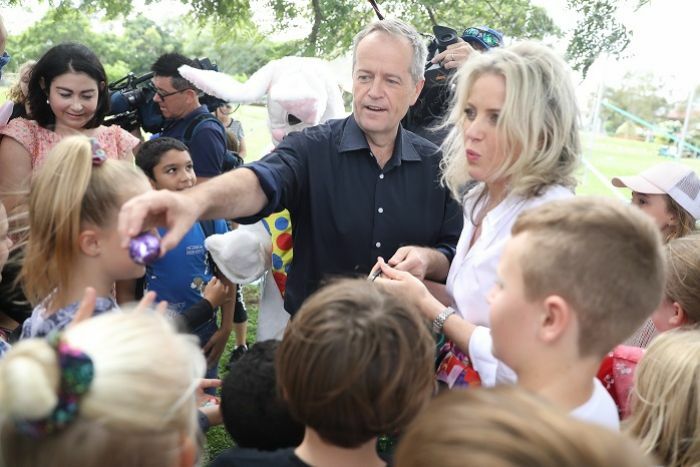 Labor’s tax crackdowns on negative gearing, capital gains, superannuation, dividend franking credits and family trusts are part of what Shorten argues is ending the “intergenerational bias in our tax system” and stopping the “war on young people”. …In sharp contrast, Morrison was playing lawn bowls this past week with retirees near Geelong in Victoria, pledging no superannuation tax rises. True enough. But even that is a fake of omission. So long as the Quantitative Peopling growth model is pursued uncritically by both sides of politics then the war on youth continues unabated in higher house prices, lower wages, crush loaded services and environment. Labor is playing around on the margins trying to limit the damage not make life better, while the Coalition wants to make it much worse. One can’t help wondering where the Coalition sees itself in a decade as its Boomer cohort dies off like flies and it is left surrounded by enemies. THE Chisholm Electorate has a choice between electing a candidate with a reputation of abhorrent conduct on WeChat or the other Jennifer Yang who has served this community as a local Councillor and Mayor. Ms Gladys Liu having earnt notoriety through an abhorrent, hateful WeChat campaign in 2016 during the previous Federal Election campaign! Is this pattern of conduct continuing? 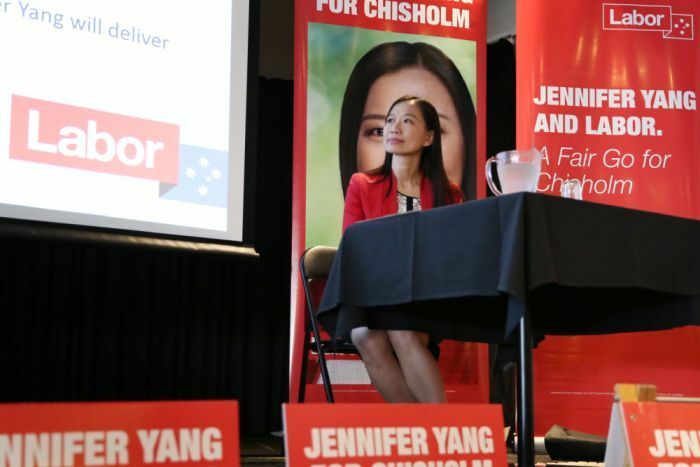 Jennifer Yang wants to make it clear: if she wins, she’ll represent all the voters in Chisholm, not just the Chinese community. View the following reports or Search CAAN Website to find more! Jennifer Yang hesitates when she talks about making history. 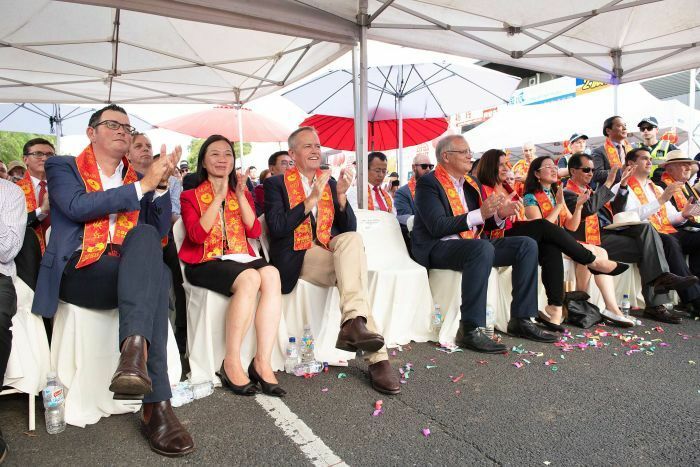 If you believe the bookies, Labor’s candidate for the marginal seat of Chisholm is on the cusp of becoming the first Chinese-Australian woman to win a seat in Federal Parliament’s Lower House. Born in Taiwan, Ms Yang has already earned her political stripes as a local councillor and mayor. But Canberra is a different story. 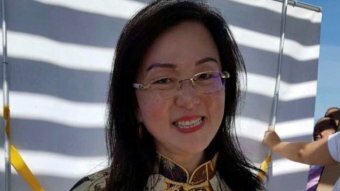 “If I am the first Chinese-Australian woman in Parliament, it’ll be a great honour,” Ms Yang tells the ABC. But she also shifts uncomfortably when asked about race — she doesn’t want to be pigeon-holed. Ms Yang wants to make it clear: if she wins, she’ll represent all the voters in Chisholm, not just the Chinese community. She sees herself as a committed local candidate, not a standard-bearer for racial diversity. “I just want to be an Australian, representing the people’s voice in Parliament,” she says. You can understand why — but Jennifer Yang is not just another candidate, and whether she likes it or not, the race for Chisholm is laced with symbolism. That’s because when it comes to race, the House of Representatives is not very representative. There are about 1.2 million Australians with Chinese heritage, and not one of them currently sits in the Lower House. It’s no surprise change is coming in Chisholm. The seat, which covers gently undulating suburbia in the heart of Melbourne’s eastern suburbs, is already a microcosm of a transforming nation. Voters come from all backgrounds, but the Chinese community is particularly large, with about one in five voters speaking either Mandarin or Cantonese at home. And even if Ms Yang loses, Chisholm will still make history on May 18 — because the only candidate who might beat her is also a Chinese-Australian. If Jennifer Yang can be introspective, Gladys Liu exudes certainty. Ms Liu was born in Hong Kong, but the former speech pathologist has put down roots in Chisholm since moving to Australia three decades ago. 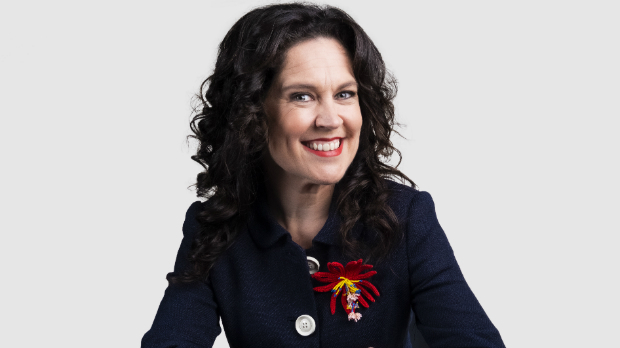 Now she’s the Liberal Party’s candidate for the seat. Party members praise her boundless energy and drive. I ask one Victorian Liberal MP to pick a word to describe her. At her campaign launch Ms Liu listed the local suburbs she’d lived in, the local schools her children went to, the nearby roads where the Liu family opened a restaurant years ago. Like Ms Yang, Ms Liu is quick to emphasise that if she wins the seat she will represent all voters, not just Chinese-Australians. But she says members of the local Chinese community are pleasantly surprised to see two familiar faces plastered on large posters and corflutes throughout the area. “It has actually raised their interest and I think that’s a very good thing,” she says. Both candidates know one thing well: the suburbs of Chisholm might be sedate, but the seat is politically volatile. 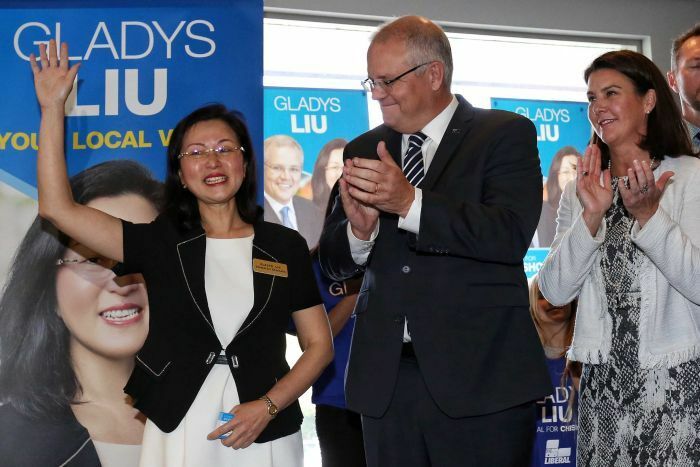 In 2016, Ms Liu helped then-Liberal candidate Julia Banks defy a national swing towards Labor and take the seat off the ALP — the victory was crucial to former prime minister Malcolm Turnbull’s slender majority in Parliament. Last year, Ms Banks sensationally quit the Liberal Party for the crossbench, accusing male colleagues of bullying. That controversy has hurt the Liberals in Chisholm, and Labor remains the heavy favourite to win back the seat this year. A recording of comments made by the Liberal candidate for the Victorian seat of Chisholm appearing to describe LGBTI issues as “rubbish” emerges. Ms Liu also carries plenty of baggage from 2016. 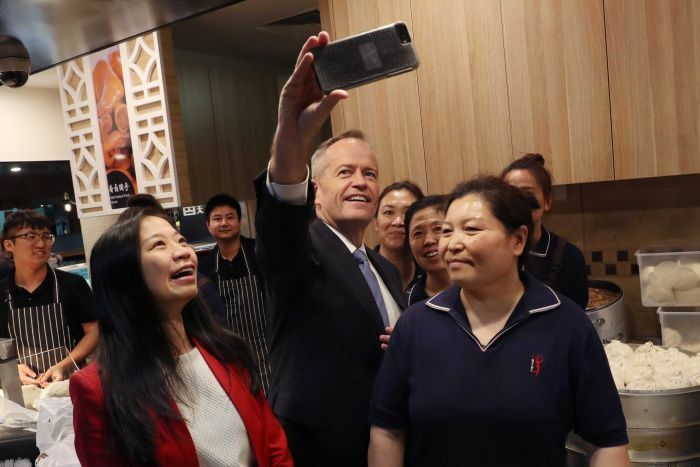 Labor accused her of conducting a homophobic and misleading scare campaign on Chinese social media platform WeChat, targeting the ALP’s policies on Safe Schools and asylum seekers. The story broke into the open once again this week when Ms Liu told a public debate she was simply conveying the Chinese community’s concerns, not voicing her personal opinion. The Prime Minister had to field questions about whether his star candidate was a homophobe, and Ms Banks weighed in to accuse Ms Liu of “abhorrent” behaviour. Some other Liberals were deeply unimpressed, with NSW Liberal Senator Arthur Sinodinos saying she’d made a “rookie error”. “In 2016 there was a lot of misinformation and lies about Labor’s policies and we believe that this will happen in 2019 as well,” she says. Ms Liu maintains she did nothing wrong, and says she can’t be blamed for what happened on WeChat. “Unfortunately when the opposition wants to attack you they put all the rubbish into your bag,” she tells the ABC. *While the battle for Chisholm is local, global geopolitics also loom over the contest. *The head of Australia’s domestic spy agency has warned that foreign interference poses an “unprecedented threat” to the nation, and Parliament has passed sweeping new laws to crack down on it — officials have made it clear in private that the Chinese Government is the worst culprit. *The ABC has also exposed how the Chinese Communist Party has been intensifying its campaign of covert political activity in Australia. But the debate in Canberra is stirring unease in the Chinese community. Chinese-Australian commentator Jieh-Yung Lo says many voters in Chisholm recognise there is a need to tackle foreign interference, but feel they are unfairly being singled out by a hawkish national security establishment and a jingoistic press. “There are people like me who don’t want to speak out, because of the fear of being labelled a foreign agent or a spy or a member of the fifth column,” he says. It’s not clear what impact this sentiment will have on the final result, as both major parties have backed the changes on foreign interference. But Labor candidate Ms Yang says politicians must choose their words carefully when tackling the subject. “Once the community is divided it’s very hard to bring back together to heal again,” she says. Some of these concerns are echoed by locals in Chisholm. Local Taiwanese-Australian businessman Vincent Liu says it’s crucial for people in power to preserve harmony. 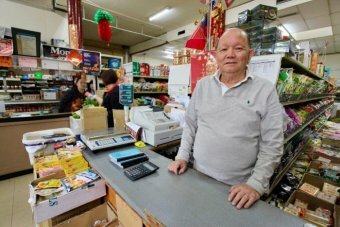 “In Australia, even in Chisholm, I think there are over 100 communities joined together,” he tells the ABC inside his Asian supermarket in suburban Box Hill. And there’s a deeper problem, according to commentator Jieh-Yung Lo, who says both major parties have been quick to simply use the Chinese community as a cash cow to fill their election war chests. That not only opens parties to internal rot — see the scandal over donations made by Huang Xiangmo — but also bred an institutionalised indifference towards Chinese-Australians. “We need to see, number one, more candidates from Chinese-Australian and multicultural backgrounds in winnable seats,” Mr Lo says. While foreign interference generates heated debate, the key contest of ideas in Chisholm may be over economic policy. The Coalition believes Ms Liu’s messages of aspiration and promises of tax cuts will resonate in the Chinese community. “What is relevant to people is how much money they can bring home, and how much they can spend, according to how they want to spend it,” says Ms Liu. Coalition strategists say Labor’s plan to curb negative gearing is also deeply unpopular in Chisholm. The economic climate in the seat is complex. People and money continue to pour into the electorate, particularly from mainland China — for example, a massive new 36 story tower block reaches into the sky at Box Hill with the words Golden Age emblazoned on its side. But housing price falls have also hit parts of Chisholm hard, and Ms Yang says she has to dispel false rumours Labor wants to drive them down further by scrapping negative gearing entirely. “That’s not right, we’re doing negative gearing reforms,” Ms Yang says. Ms Yang argues many younger locals are still struggling to afford homes near their parents, and Labor’s policy will restore fairness to the market. But it’s a fine balance. Keith Lam, who runs a wireless internet business in Box Hill, says many voters in the area are highly leveraged, and feel exposed when house prices go down. Back in his supermarket, Vincent Liu takes a longer view. He’s lived in the area for 30 years and is accustomed to heavyweights from both sides of politics dropping in to say hello and pitch for his vote. He won’t make a prediction about who will win, but says one thing is certain: the race for Chisholm will once again be close. “I think maybe [the vote is divided] half and half — half and half,” he says. Business as usual, in the new middle Australia.